Today (October 22nd, 2016), we have listed 9 new 2009 Jeep Wrangler ads to our site. These listings span 3 different states and 3 trims. Beautiful condition 2009 jeep wrangler sahara 4wd. Automatic transmission. 98789 miles. Factory navigation and sirius radio. 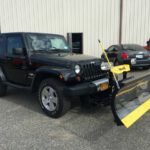 Plow is brand new sno-way, with wireless control……. 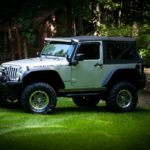 2009 rubicon lifted 6speed. This truck is a must see! Over 15,000 invested in up grades. It has 110,000 miles and runs like a top. 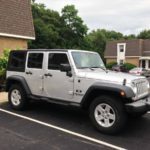 Don’t want to sell but kinda have no choice.……..
2009 jeep wrangler 4 door, 107k, 3.8l v6, 4wd, Automatic, Ac, Power windows and locks. Touch screen pioneer stereo w/ iphone connectivity. Upgraded kicker speakers………. This entry was posted on Saturday, October 22nd, 2016 at 8:35 am	and is filed under Connecticut, New Jersey, New York. You can follow any responses to this entry through the RSS 2.0 feed. Both comments and pings are currently closed.